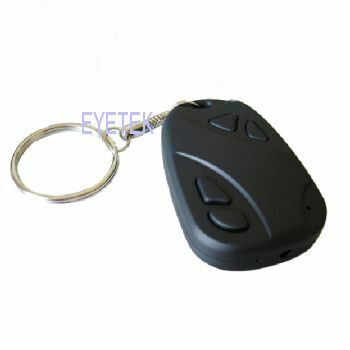 This is a standard PIR alarm sensor case with a HD pinhole lens WIFI concealed security camera. This clever concealed camera product code PIRRW can be viewed remotely in real time from a Smart Phone, iphone or android using the free app. This also records onto an internal SD card on motion activation. 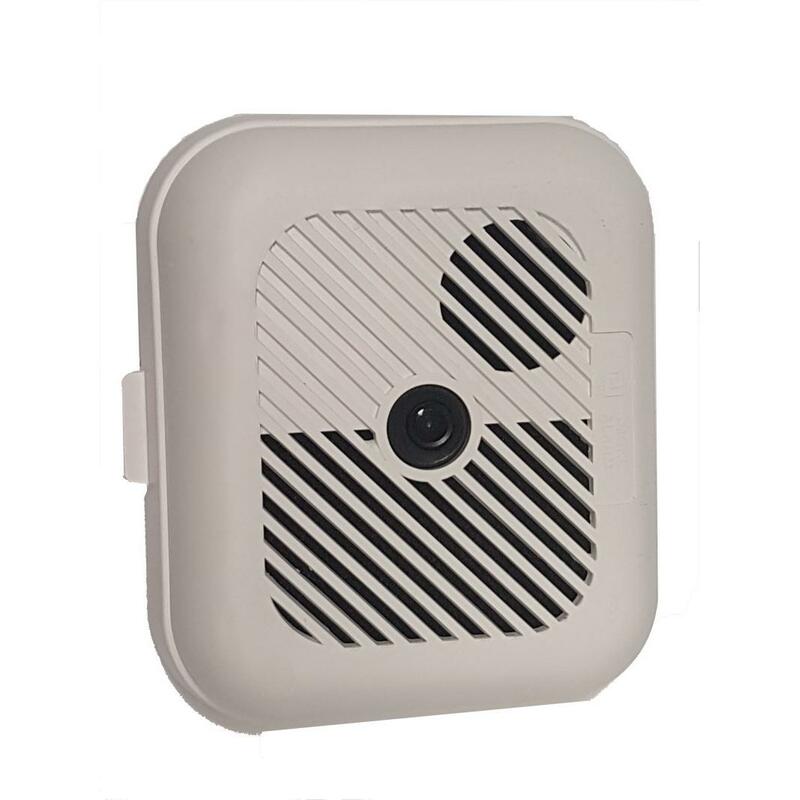 This is a standard PIR alarm sensor case with a HD pinhole lens Concealed Security WIFI surveillance camera that transmits and records video directly over your WIFI network, so it can be viewed from anywhere in the world via the internet. View live video on any smart phone or tablet anywhere anytime. This camera is exclusive to Eyetek as these are built in our own workshops. The camera comes ready to go complete with battery, built in charger and simple setup instructions This camera is designed for ease of use and can be operated without a knowledge of networking but if you have any problems we are here to help get you up and running. The camera can also be supplied with a 3 metre power lead that is plugged into the mains allowing it to be left permanently connected and eliminates the need to keep charging batteries. If this option is required, please select it from the drop-down menu. Please note the battery can not be left connected when the external power lead is used. The battery life quoted is genuine unlike some who claim many days of battery life, this is totally unrealistic as you would find if you tested one. These are an approximate guide only as many factors can affect both the battery life and the storage consumption such as image content, WIFI signal strength, light levels and temperature. This is the perfect spy camera for holding in your hands with your car keys. 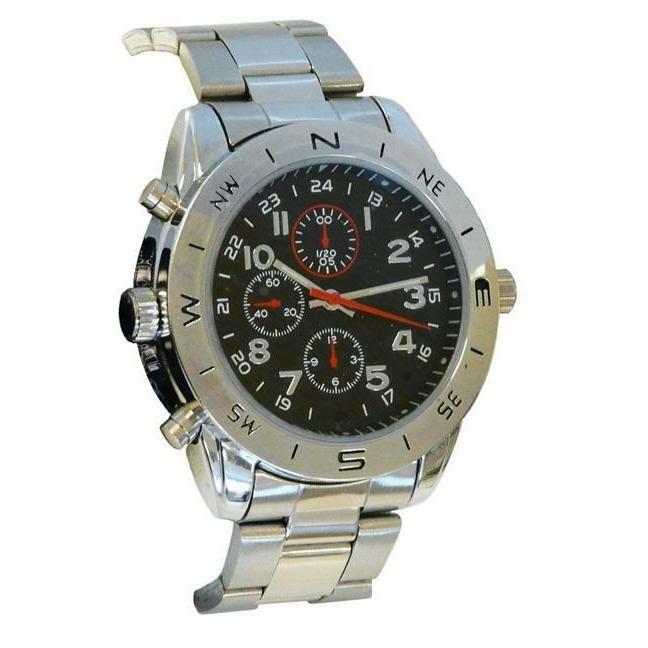 This covert body worn camera is disguised as a stylish and wearable watch, the secret agent camcorder watch lets you record video without anyone knowing.